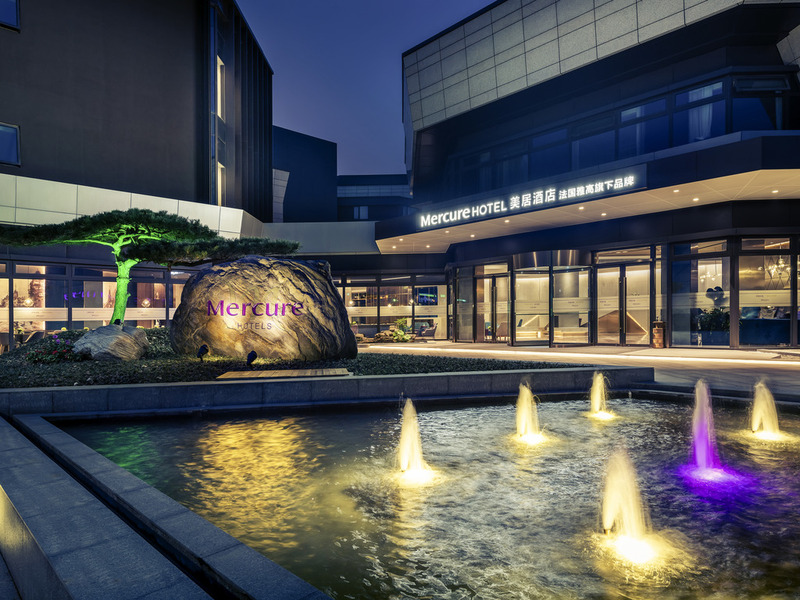 Our hotel is located in the Hongqiao CBD with superior geographical location, within 15 minutes' walk to the NECC. The hotel is close to Metro Line 2 and Line 17. It takes only 10 minutes by car from hotel to Hongqiao airport, that will be the best choice for the travelers and business guests to stay. Hotel offers 198 classic French style rooms and high-speed WIFI, as well as a fully equipped gym, meeting rooms, courtyard area and all-day dining restaurant. We are all looking forward to welcoming you. Our restaurant is located on level 1. It features large French windows overlooking the garden. Guests can savour our buffet breakfast as well as set lunch and dinner, while enjoying beautiful views of the city. Perfect for events of up to 90 guests. Located on level 1, our Lobby Bar features large French windows and beautiful French design. Its outdoor terrace is the perfect place to meet clients and friends over wine, tea or coffee.